Watsi is Crowdfunding For Medical Treatment. That’s What I Call Healthy Giving. KillerStartups > Rising Startup Stars > Watsi is Crowdfunding For Medical Treatment. That’s What I Call Healthy Giving. I’ve covered a few socially-focused crowdfunding platforms in the last few months – from Chicago startups Benevolent and Regroup to London’s Spacehive – and now Watsi, the crowdfunding platform that gives 100% of donations to medical treatments for patients in the developing world. Chase Adam is the visionary behind this vital platform. This is his awesome story. 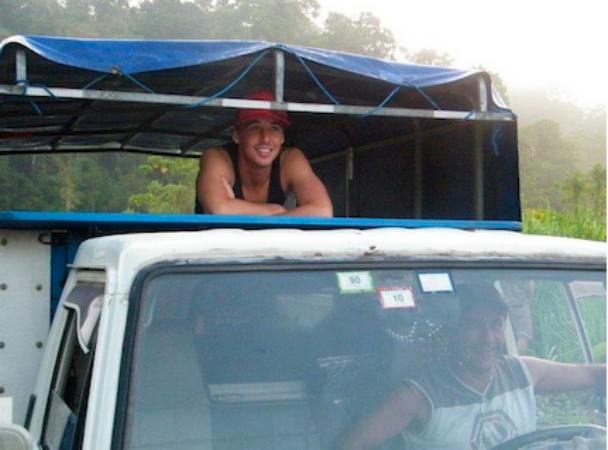 In 2010, Chase was living in Costa Rica on Peace Corp duties. He had experienced many people begging for money or trying to sell little things like stickers and trinkets. But on December 3rd, while riding on a bus through the jungle, he met a woman with a red folder that would change his life forever. Chase dismissed the woman as she spoke to the people on the bus (assuming she was trying to sell something useless), but when she approached him with her plastic bag filled with donations, he was intrigued. Within the red folder was a picture of her son and the condition that he had. Chase immediately had a breakthrough – If he could connect this woman’s story with his friends and family, her son would be able to have the treatment that he needed. Impact- This is the key feature of Watsi. The goal is to be able to fund high-impact, low-cost medical treatments for a million people in need. Innovation- Watsi is committed to keeping up with the incredible speed of innovation today, to stay up-to-date and relevant. Efficiency- Unlike most non-profits that aren’t very efficient, Watsi wants to focus on motivation and adaptation. Transparency- The company is 100% transparent, all relevant information is available to donors, from patient wavers to receipts, so donors know exactly how their money is helping. Crowdfunding is an extraordinary new funding trend, especially if it’s focused on funding causes like the ones you see on Watsi. If you’re feeling generous, and want to give very little to fund very serious illnesses in the developing world (and actually connect to each case) definitely check out Watsi.